Following the successful launch of ELLE's Internet video channel, magazine publisher Hachette Filipacchi has unveiled three new broadband properties for popular titles including Car & Driver, Women's Day, and Road & Track. With Brightcove, they have been able to rapidly bring to market an large volume of original programming through ad-supported Internet video channels. 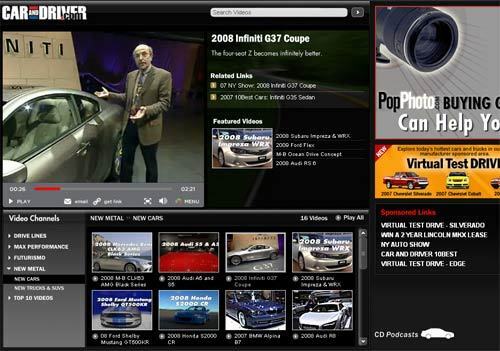 These titles have also extended the reach of their video programming through channels on Brightcove.com, such as ELLE. We are thrilled to see such high quality and entertaining content reaching new audiences and creating new opportunities through Brightcove's Internet TV service.